Happy Bloggers Challenge Friday! Thanks to those who played along with the Alter It Challenge, the challenge this week is Fall Colors. 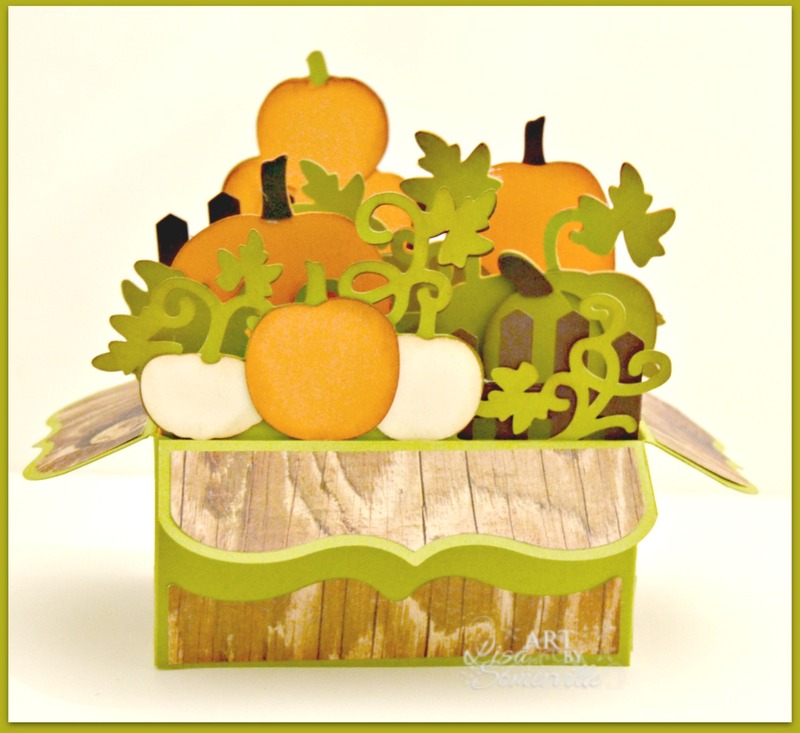 I used SVG Cuts Autumn Box Card Kit (Pumpkin Patch) to create my project this week. All pieces were cut using the Silhouette Cameo. If you'd like to play along with this weeks Bloggers Challenge, please link back to this post on your blog and mention you created your card for the Bloggers Challenge Fall Colors Challenge. Please add your link using the Link Tool below, your link should be a direct link to your Bloggers Challenge Post, use your name as the Title. Please do not link to cards that were created prior to the challenge date. Entries not linking properly, or backlinked will be removed. If you have the captcha enabled on your blog, please consider turning it off, as it makes it so much easier to leave comments. Love this pumpkin patch box. It's just like going to the pumpkin farm. Cute as can be box card! What a fun fall project, Lisa! Love the arrangement of pumpkins and vines inside your card. Love those pumpkins! Fabulous project for Fall!